In-form opener Marcus Harris is set to make his debut after being picked Thursday in Australia's squad for their first two Tests against India alongside fellow rookie Chris Tremain. The 26-year-old, who smashed 250 not out against New South Wales last month and is the Sheffield Shield's second-highest run-scorer, is expected to open the innings in Adelaide on December 6 alongside Aaron Finch. Tremain, Harris's uncapped Victoria team-mate, was also included as part of the bowling line-up. Aside from them, the squad is mostly unchanged from the one that drew one Test and lost the other against Pakistan in the United Arab Emirates last month. Steve Smith, David Warner, and Cameron Bancroft remain unavailable as they serve bans for ball-tampering. 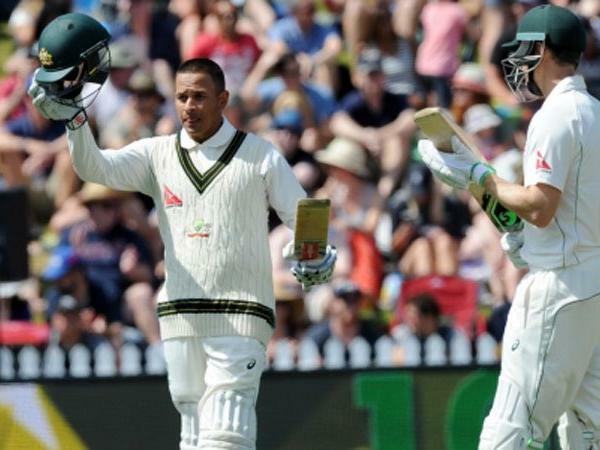 Usman Khawaja, who opened the batting on the UAE tour, was included but is yet to prove his fitness after knee surgery. If ready, he is set to come in at number three. Marnus Labuschagne, who played on the Pakistan tour, has been axed with middle-order batsman Peter Handscomb back in the frame after losing his place during last year's Ashes series. He is up against Travis Head for the number six slot. The top-class bowling attack is spearheaded by Mitchell Starc, Josh Hazlewood, Pat Cummins and Nathan Lyon with either Tremain or veteran Peter Siddle the fourth seamer. National selector Trevor Hohns said the 14-man squad for the Adelaide and Perth Tests would be cut to 12 ahead of the games, with two players released to get match time in domestic Shield cricket. "We believe all players chosen deserve their selection in the squad, and we're confident given the opportunity all will apply themselves well against India," he said. Harris could not be ignored after putting together a string of strong scores, averaging 87.50 so far this season, with former coach Darren Lehmann among those backing him. It was current coach Justin Langer who described Harris at the start of the 2016/17 season as being "mediocre with flashes of brilliance" when the batsmen left Western Australia for Victoria, where he has since flourished. But Hohns said he deserved his place in the squad, after proving he could perform in high-pressure situations. "Not only has he made plenty of runs, he's displayed the mental application we believe is required to compete at Test cricket," he said. Fellow opener Matt Renshaw was again overlooked. He was close to a Test recall for the tour of the UAE but suffered a concussion in a tour game and has since failed to impress in the Sheffield Shield. Like Harris, Tremain earned a call-up after some stellar domestic performances, where he is the second highest wicket-taker this season. "He has also been a consistent wicket-taker over the past two seasons, and thoroughly deserves his place in the squad," said Hohns. Australia play four Tests against India, starting in Adelaide, then Perth, Melbourne and Sydney.